Woodstock, IL – August 8, 2018 OWC®, a leading zero emissions Mac and PC technology company, announced they will give away a trip for two to New York City as part of their 2018 Presenting Sponsorship of the John Lennon Educational Tour Bus. The trip will coincide with the Lennon Bus’ annual Come Together NYC programming, kicking off at New York City Hall on September 13th. The “Come Together with OWC in NYC” contest will allow one grand prize winner and guest to be part of the residency launch events taking place on September 13th. Entry to the contest will be through OWC’s social media account postings, with a reply to the question “What does peace mean to you?” Postings will be on OWC’s MacSales.com Facebook, Twitter and Instagram accounts, and entrants can engage through words, photos or videos in response, as well as liking, sharing and tagging posts. The contest opens on August 8th and runs through August 26th. Winner will be chosen at random and will be announced no later than August 30th. Stay connected to OWC and the Lennon Bus’ social media accounts; more information regarding the giveaway, residency programming and terms and conditions for the giveaway can be found here. The John Lennon Educational Tour Bus presented by OWC is a non-profit state-of-the-art mobile Pro Audio and HD video recording facility that provides hands-on experiences for students of all ages. Now in its 21st year, the Lennon Bus features the latest audio and video technology, gear and products. The Lennon Bus travels across the U.S. and Canada year-round, providing free tours and workshops at schools, retailers, festivals, and at major industry conferences. To see where the bus will be next, visit http://www.lennonbus.org/schedule. 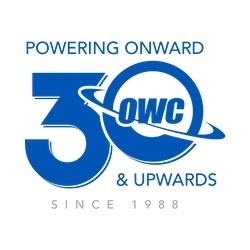 Since 1988, OWC has been about possibilities. We’re dedicated to helping tech enthusiasts and industry professionals do more and reach higher. Our trusted storage, connectivity, software and expansion solutions enable creative professionals, producers, educators and government entities to get the most out of their technology investments, protect valuable digital assets and expand their hardware’s capabilities to keep up with the demands and evolution of their work. OWC features an award-winning technical support team that is on hand 24/7 as well as an unparalleled library of step-by-step installation and support videos. In everything we do at OWC, we believe in making a better world where technology inspires imagination and everything is possible.